LONDON — Its often said that the British dont “do” revolutions. Barricades and communes might be all well and good on “the Continent,” but over here we handle things differently. What need of Madame Guillotine in a land where parliamentary democracy has flourished for 300 years and where talking on the Underground is considered a dangerously seditious act? For most of the last 200 years, Britons were too busy propping up an Empire-on-which-the-sun-never-set, or working their fingers to the bone in factories and big houses, to find the time to turn pitchforks on their masters. And besides, at every point when the country could have tipped, the ruling elite pulled back and ceded just enough power to the people to maintain the status quo. Having successfully fended off invasion and kept the specters of revolution at bay, Britain has no “ground zero” moment akin to the American declaration of independence or the reunification of Germany. While most countries on the Continent have been obliged several times to start again, the United Kingdom has simply plodded on with the mechanisms that saw us through the 19th century — including an unwritten and unfathomably complex constitution. Britain, in short, has never been obliged to stare deeply into its soul and reimagine itself. As much as Brexit presents an unprecedented existential crisis — it could yet serve a useful purpose. By any sane measure, Brexit has been a catastrophe. In seeking a quick fix to an internal party squabble, the hapless former Prime Minister David Cameron managed to accomplish what the Spanish Armada, Napoleon and Hitler all failed to achieve: Britain has finally been defeated. Whats more, in a display of the “can-do” spirit that made it great, it has managed to do it all by itself. The country has painted itself into a corner, tied a sovereignty shaped bomb to its underpants and put a gun marked “no deal” to its head. And yet, as much as Brexit presents an unprecedented existential crisis — it could yet serve a useful purpose. Former Conservative MP Anna Soubry and former Labour MP Chuka Umuna might seem like an unlikely vanguard of the revolution, but their newly created Independent Group has been a first and important step in the realignment of our political system, and there is a sense that this is just the start. Something has been rotten in the state of Britain for years, but instead of dealing with the illness, successive governments merely slapped on band-aids upon band-aids. Chief among those ailments is the broken first-past-the-post voting system that encourages a confrontational political climate, while rendering millions of votes essentially worthless. As a result, many seats in general elections are foregone conclusions and smaller parties beyond Scotland, Wales and Northern Ireland have found it almost impossible break through the iron wall of what amounts, in England at least, to a two-party autocracy. Britain has stuck with the system for no other reason than that it serves the interests of the Labour and Conservative parties, which have conspired to take it in turns to rule us for the last 100 years. Brexit has drawn back the curtain to reveal cossetted Westminsters creaky heart. Our Hogwartsian parliament, and our current voting system are quite obviously no longer fit for purpose. 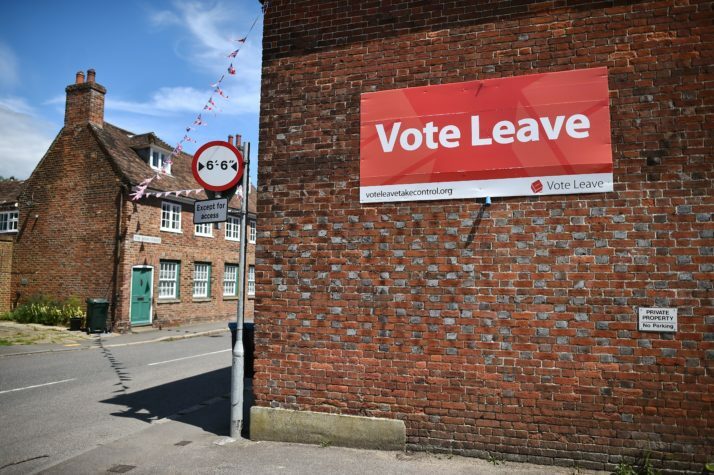 Much of the shock in the immediate aftermath of the June 2016 referendum was that a vote had for once actually meant something. For the first time, real power had been handed to the electorate, and millions of disaffected and marginalized individuals vented their rage by voting against a system they deemed had ignored them. That they were encouraged to do so for a cause that did not serve their interests is perhaps beside the point; the genie has now been released from the bottle, and it is impossible to imagine that the nation will be prepared to surrender control again. For all the poison and odium that this invidious process has unleashed, thats a good thing. And it is by no means the only Brexit positive. As the government has reeled from crisis to crisis, the great lie that Britain is somehow too big for Europe and that “they need us more than we need them” has been exposed as the shabby fairytale that it always was. It is Prime Minister Theresa May, after all, who has been running in desperation to the EU leaders in Brussels — and not the other way around. The British people, long guiled into believing that the EU is holding us back from fulfilling our full potential, are now being served a daily dose of stark reality. Brexit has been a grotesque act of self-defenestration. Should we crash disastrously out on March 29, our Brexit-driven political class will be faced with an even greater quandary: Once we are no longer entwined with our neighbors, who will they have to blame for NHS waiting lists, the housing crisis, queues on the motorways, foreign criminals and straight bananas? So yes, Brexit has been a grotesque act of self-defenestration. It has caused indescribable damage to our international reputation and unforgivably put the future well-being of our nation at stake. Britain now stands at a dangerous fork in the road from which many hope it can yet turn back. But maybe, just maybe, all of this madness will not have been entirely in vain. Sooner or later, Brexit will devour its children and once it has, perhaps we will get the revolution we actually need.